WhY THE NAME 'BLUE FEVER'? Blue is the most common color on earth, but for thousands of years humans couldn't perceive the color. Blue was everywhere and nowhere â€“ just like women today. Women make up half the worldâ€™s population, yet a lot of time our stories arenâ€™t told and often we are not seen in all the ways we should be. 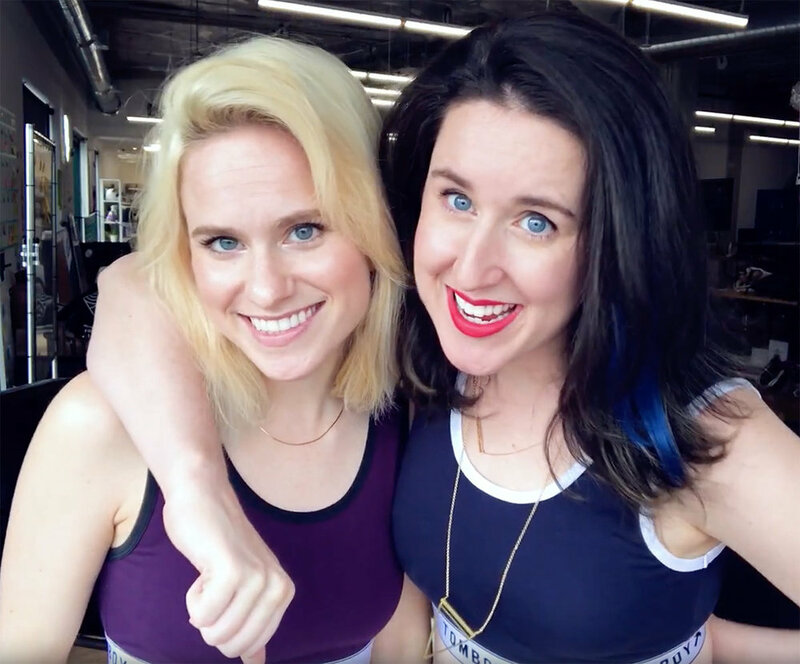 At Blue Fever, we want to be that friend who supports and lifts you up through the videos we love most. We want blue to catch fire and spread like a fever. The time is now for YOU- so #CatchIt. We're Lauren and Greta, two young award-winning producers and filmmakers who met in line at the Sundance Film Festival. We went out into the world with bright, shiny hopes to tell great stories. But these dreams were dashed when we realized Hollywood didn't really want us. So we took a deep breath, played a Taylor Swift song and looked around to see if we were alone. We were not. So we decided to stalk the best creators on the Internet (who were just like us) and curate their incredible content. And #boom here we are. you GET the best female-focused digital series, music videos + short films! Our plan is to offer our badass community feature-length movies + TV shows soon after that! Watch a piece of our sample content! What are you in the mood for? weâ€™ll send you recommendations of videos, shows + movies. BLUE FEVER CURATES YOUR CONTENT SO YOU CAN SPEND MORE TIME WATCHING quality ENTERTAINMENT INSTEAD OF SEARCHING FOR IT!